Texas became an independent state in 1856 as it defected from Mexican rule. In commemoration of this independence, Texans mark their calendars on the second of March for Texas Independence Day. Even though many may pass the day off as an ordinary day, it has a certain meaning that bears no equal to other events. On this day, Texans should remember the past efforts of our forefathers and be inspired to make Texas a better place. This commemorates the event where Texans finally found the independence from their colonizers – through a communal effort that led to harmony and understanding among the people. In Washington, fifty-nine representatives congregated and voted into existence a sovereign nation: the Republic of Texas. The Texas Declaration of Independence was drafted by the Tennessean George C. Childress, inspired by the 1776 American Declaration of Independence. According to this document, Mexico had “ceased to protect the lives, liberty, and property of the people” and committed “arbitrary acts of oppression and tyranny.” They wanted their own people governing their land rather than foreigners who may or may not care for their welfare. Texas survived a decade as a thriving republic in the midst of states in North America. It thrived very well and was even renowned as the only state that went with the United States of America not by territorial annexation, but through a thorough treaty agreement in 1845. 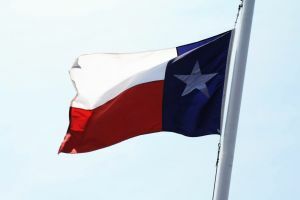 On March 2, the official state holiday honoring historic Texas, many activities take place with numerous parades, festivals and even a complete historical reenactment of the event. Annually, people go to reenact and see the historic event in the exact site where 49 delegates signed the famous Texas Declaration of Independence on March 2, 1836. Most Texans fire off a round of muskets and cannons and simply enjoy being proudly free and Texan. They can visit Haley Memorial Library and History Center in Midland that showcases Texan independence history, including the original bell that hung in the Alamo. 59 Texans signed off Mexico’s power over their land and declared their independence more than a hundred years ago. It gave birth to a state that was not only brave but resilient and determined to make Texans proudly free.